Why throw all your clothes into one hamper? Why not sort it at the time when you're placing it into the 'dirty laundry' pile? This will save you precious time and effort during laundry day. So that's where the NeatFreak Rolling Vertical Laundry Sorter comes in. With 2 included Neat-totes, you can easily do some sorting. Each Neat-tote is self-standing and collapses to store flat when not in use. 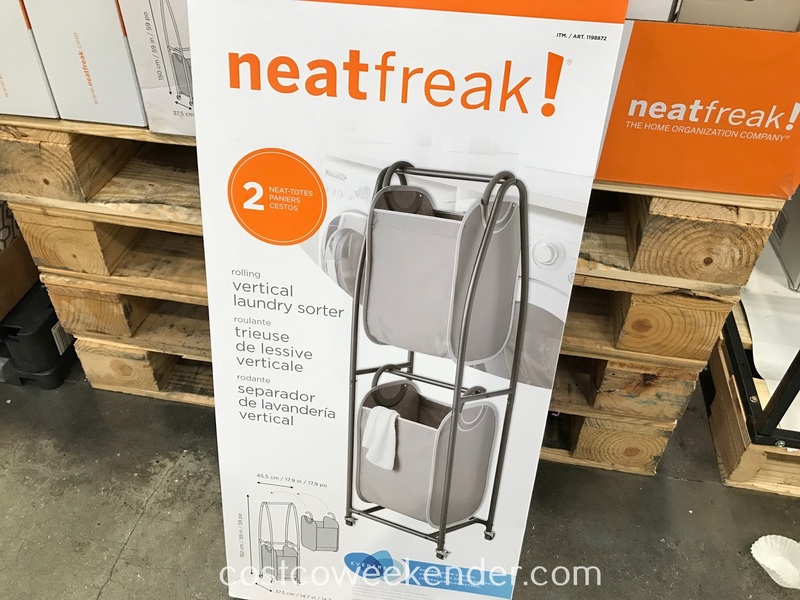 And since the NeatFreak Rolling Vertical Laundry Sorter has casters, you can easily move it around from your bedroom to the laundry room. So why use a boring hamper if you can use something that actually looks cool like the NeatFreak Rolling Vertical Laundry Sorter. 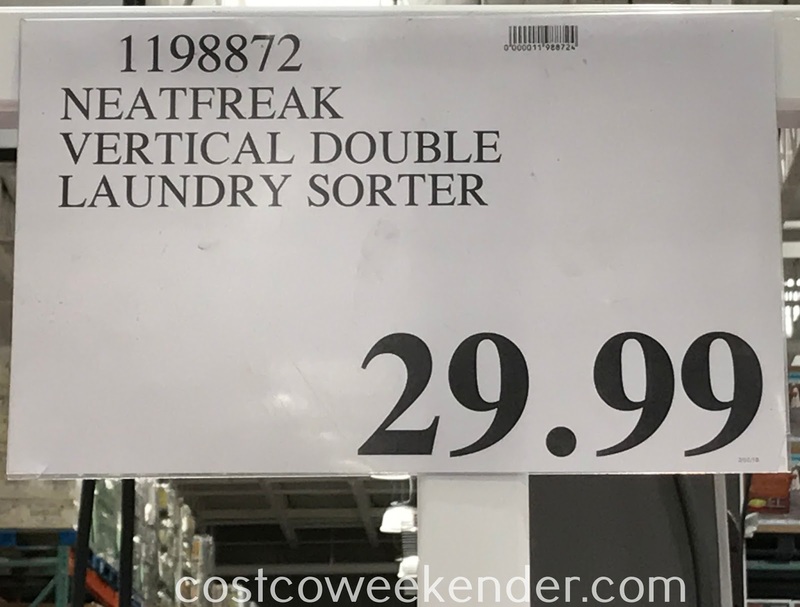 Sturdy vertical laundry sorter maximizes space with double the capacity in the same footprint as a regular hamper. We bought this and the casters are worthless as back pockets on a pig. As a matter of fact they are beyond worthless. They don't snap into place as far as I can tell so if you are rolling a full car to the laundry and it slightly tips, one or more of the casters will fall out leaving you with a rocking cart. I like the design of the rack and removable baskets, but the casters are a real no go for this one! 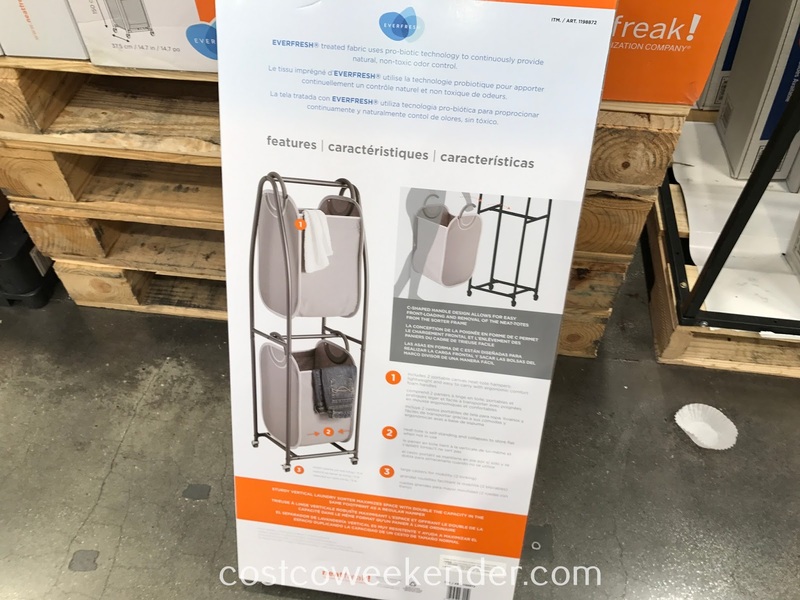 Hello @Anonymous, I'm glad to hear that you got the caster issue resolved in regards to your NeatFreak Vertical Double Laundry Sorter. I hope that you're loving it and that it lasts you a long time.